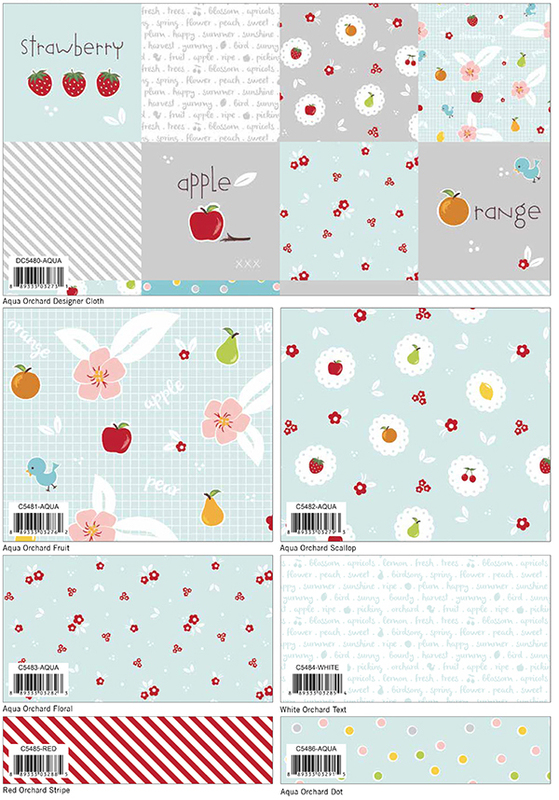 I am so thrilled and excited to finally share the news that I am now officially a fabric designer for Riley Blake! It's a HUGE dream come true for me, in fact I am still having 'pinch me' moments, especially when I first wake up in the morning! 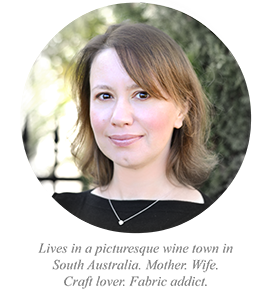 When I bought my first sewing machine three and a half years ago if someone had told me that I would be working for an amazing company like Riley Blake and designing fabric, I would have laughed. 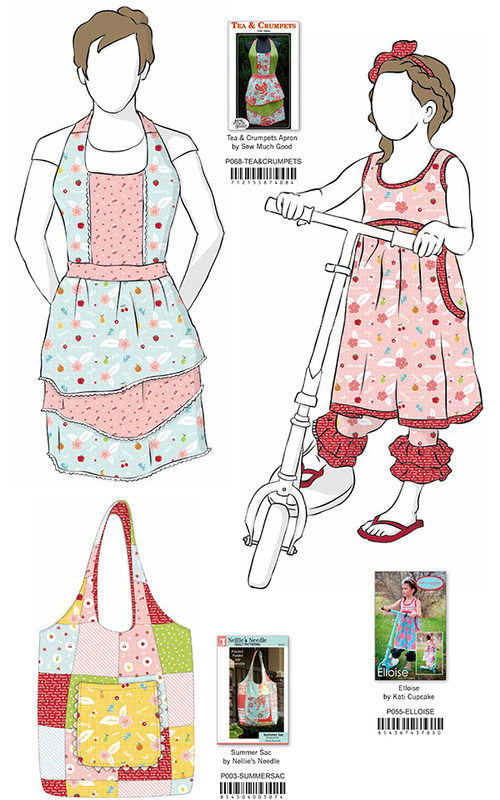 Seriously, I couldn't even begin to fathom the idea of sewing with fabric that I have designed back then! And then in 2015 it became a reality. So many months of hard work going on behind the scenes, but so SO worth it. 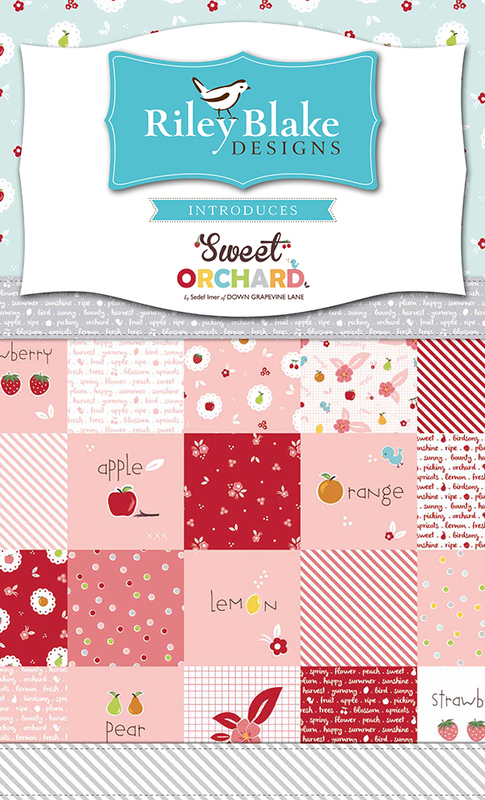 Without further ado, I am so happy to present to you my first fabric line, 'Sweet Orchard'. 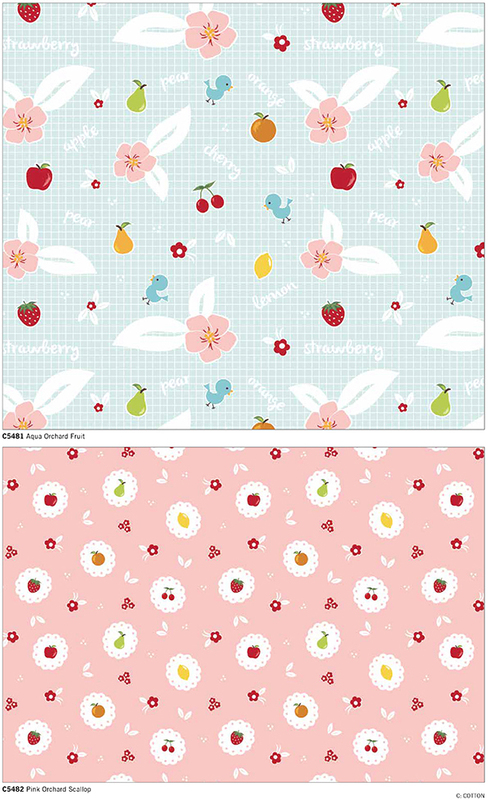 It's a sweet floral and fruity line, mixed with bias stripes, dots, and text. It arrives in shops in August, with pre-sales in full swing already! When designing this line I brought together all my favourite fabric elements that I couldn't easily find out there in the market. 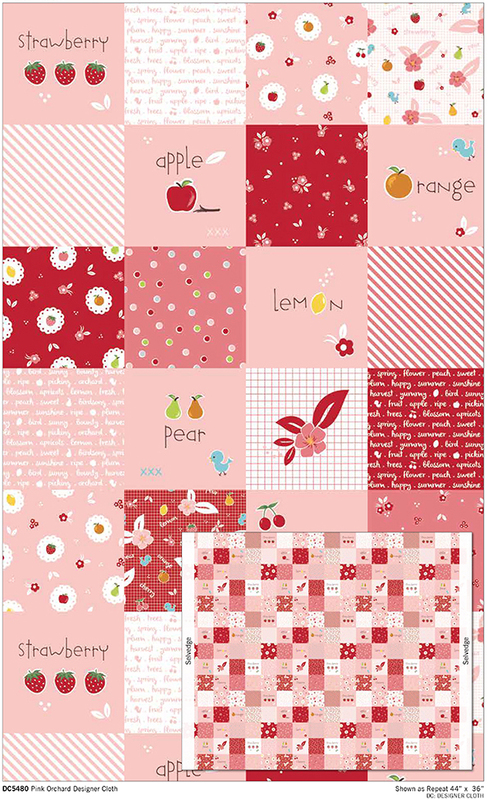 Fabric that brings flowers and fruit together, not just strawberries and cherries but other orchard fruit also - apples, oranges, and pears. Bias stripes (especially in pink, red, and grey) - the unicorn of blenders. 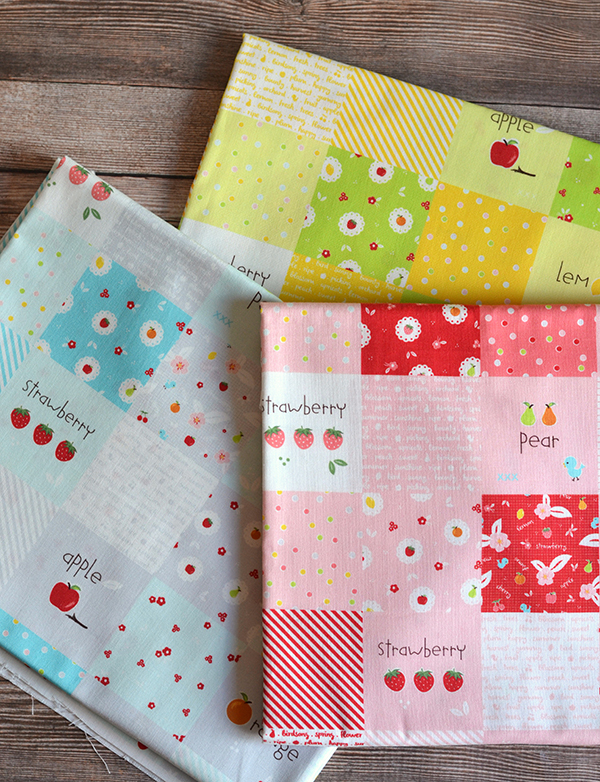 Also random dots, and sweet text fabric - this line is truly my quilter's' dream come true! 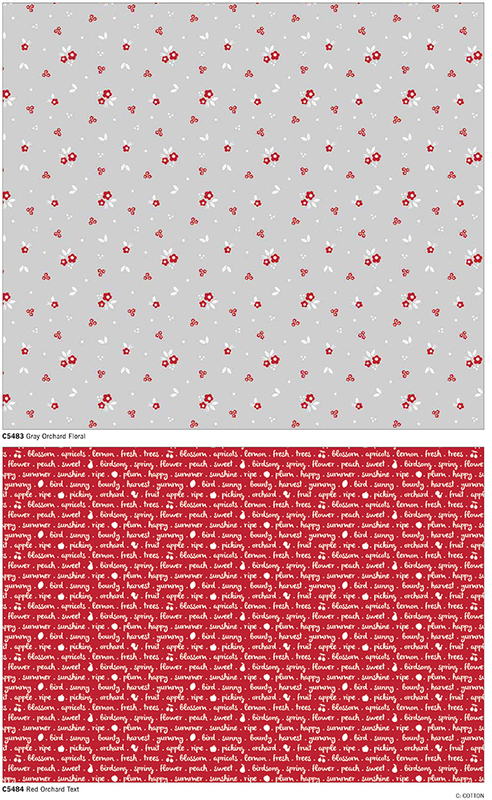 You may have spotted that the line includes a cheater print in three colourways, with lots of fussy cutting potential. I received my first fabric samples of it this week and I love it so much already. I hope you do too! Also, a BIG thank you to everyone for sending me sweet notes of congratulations when I announced this news on my social media a few days ago - I am truly thankful for all your support. I love it! 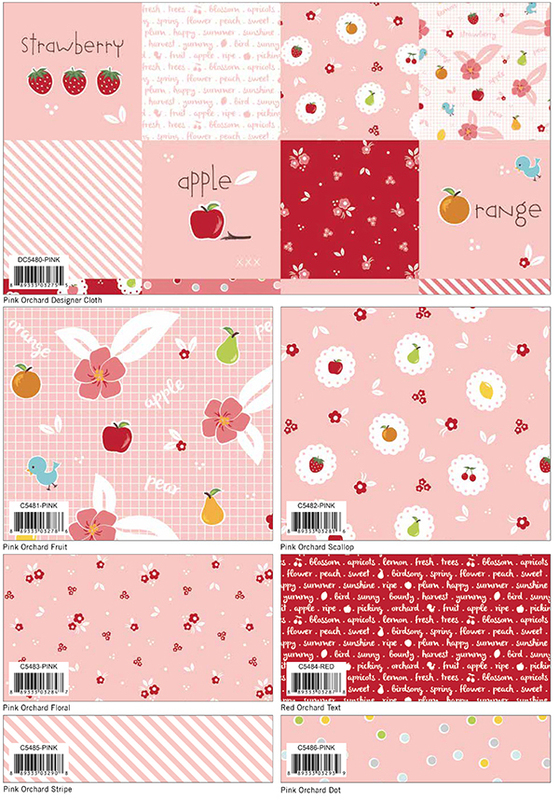 Such a darling fabric, cant wait to buy some. Congratulations! This is an awesome dream come true. 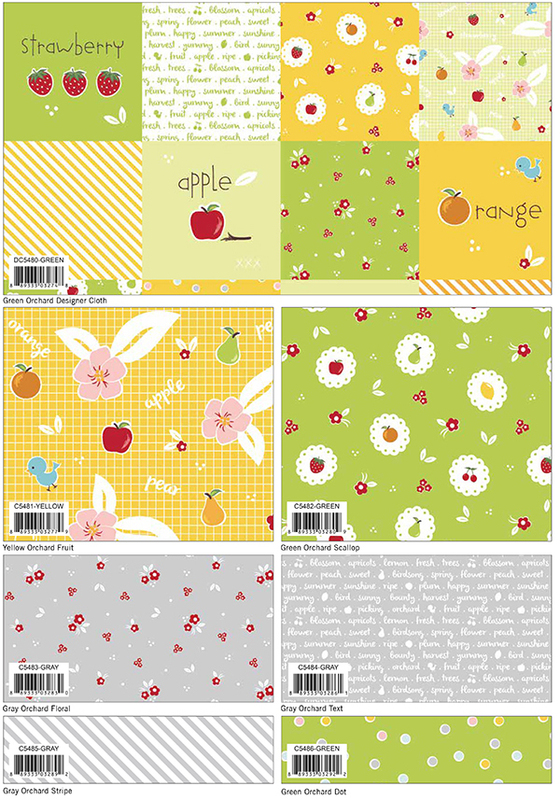 Lovely fabric! Congratulations! 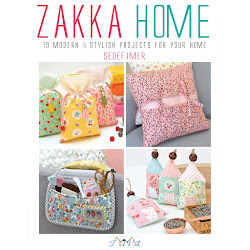 I love your fabric line - the colours and patterns are perfect! 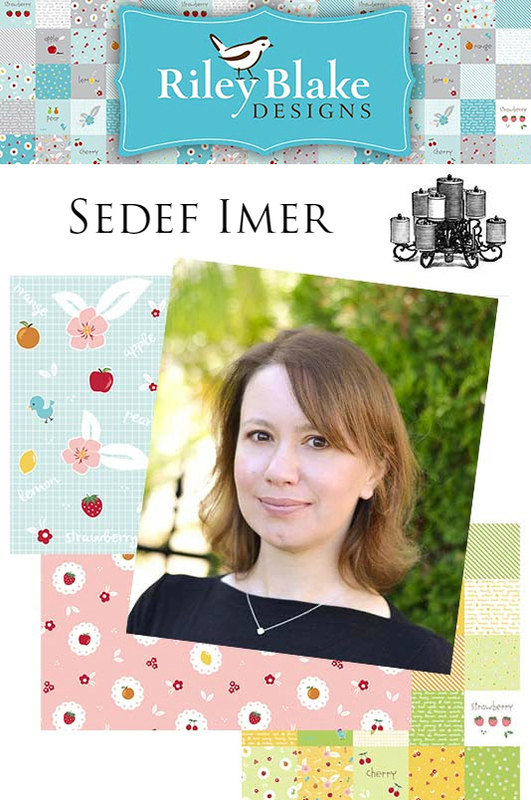 Congratulations Sedef! I'm already in love. It's beautiful! 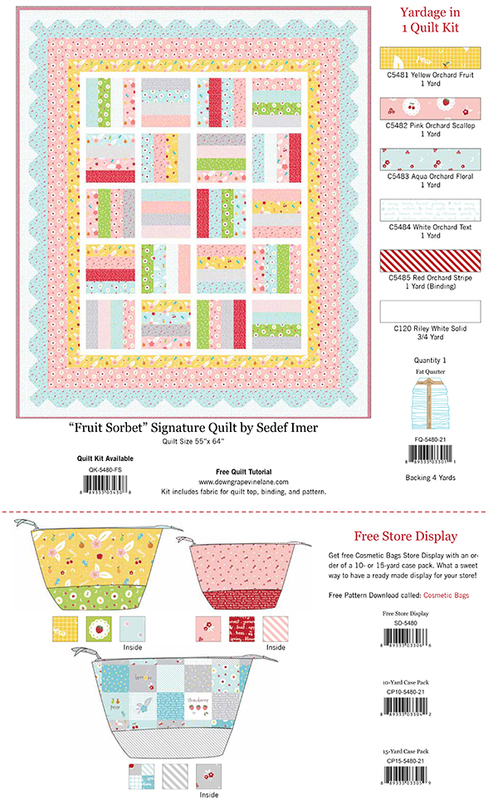 Crossroads quilt along - are you ready?